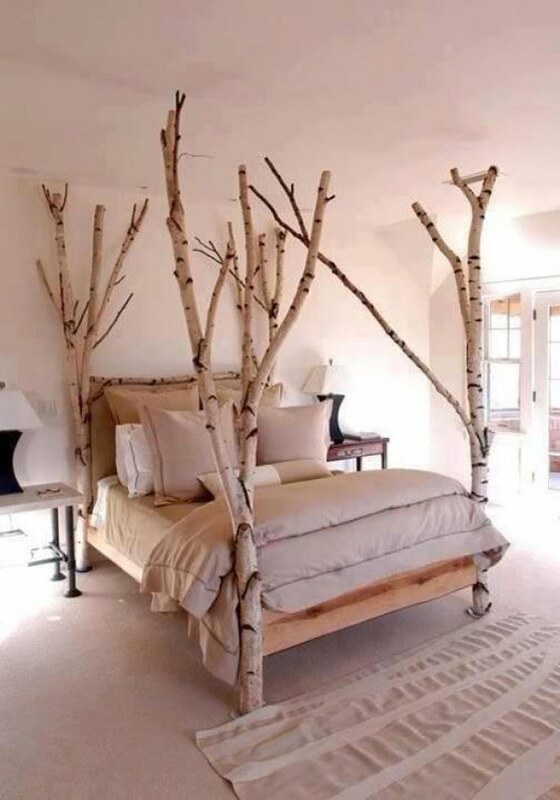 A short while ago we’ve posted a photo on Facebook of a bed with bedposts made of real birch tree trunks (see the photo below). It has drawn so much attention from our fans – they’ve loved it! Some people thought it was cute, others expressed their wish to have something like that at home, yet others thought the posts were great for hanging clothes. This bed design is not one of a kind, though, and there are many more bed frames that follow the same idea. Since our fans loved it so much, we’ve deiced to find more designs like this and we hope you will enjoy them just as much. Here they are. 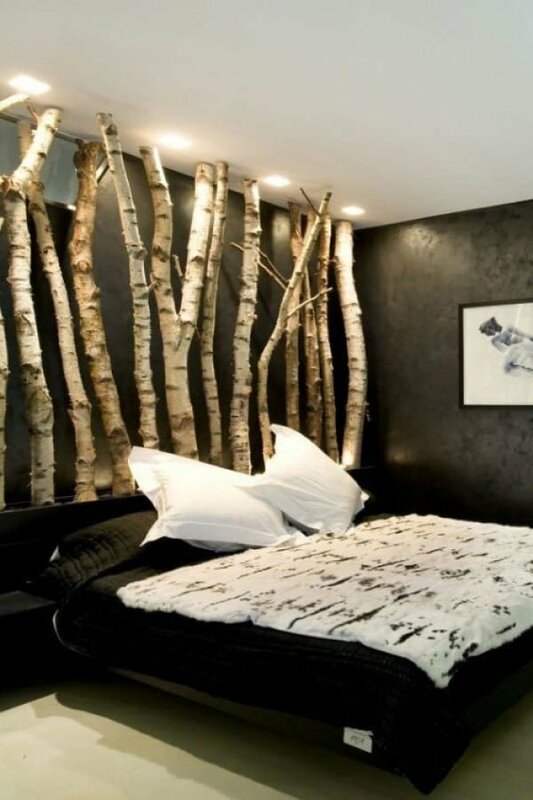 Bed posts made of real birch tree trunks – it’s so awesome and cute. 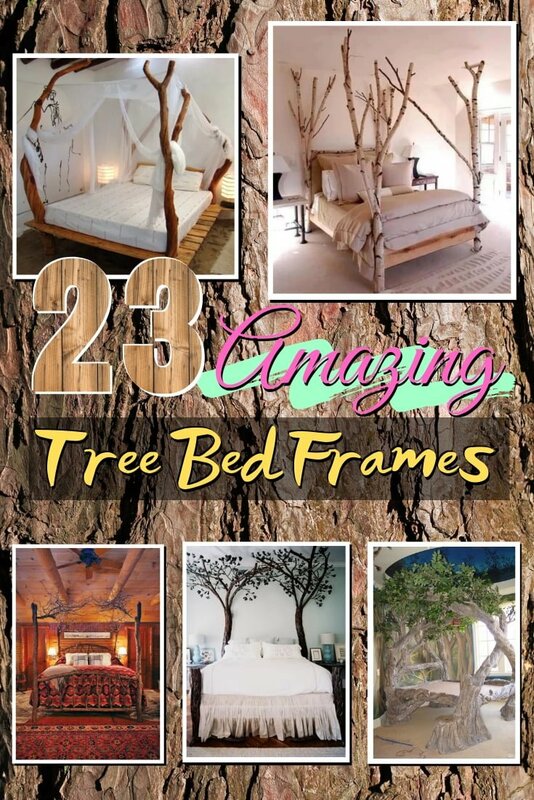 The DIY headboard is also made of tree branches and the rest of the frame is made of reclaimed wood. 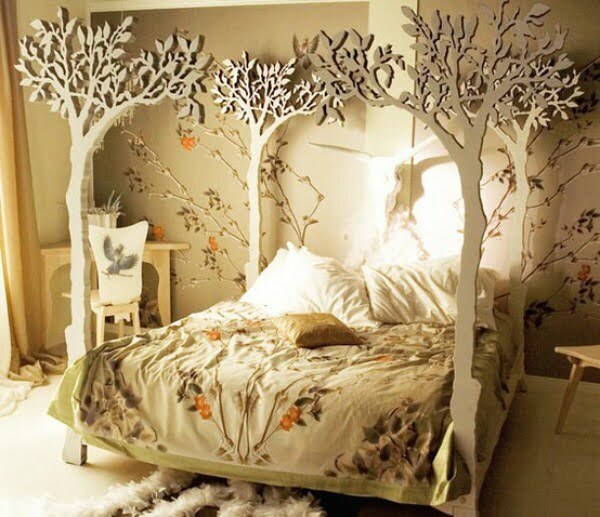 This bed design is truly enchanting, as if from a fairy tale. 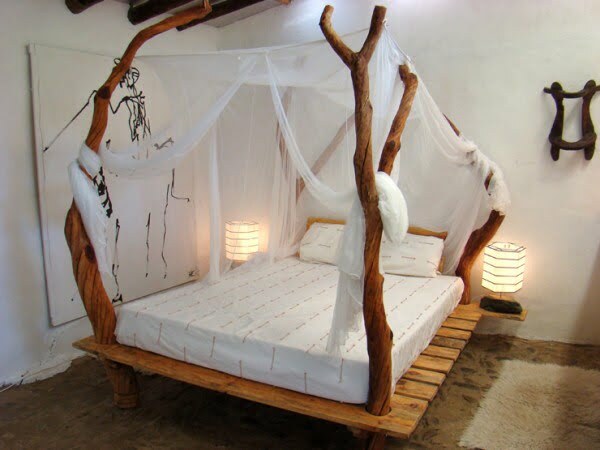 The entire bed frame is made of tree trunks and the added greenery completes the magical look. 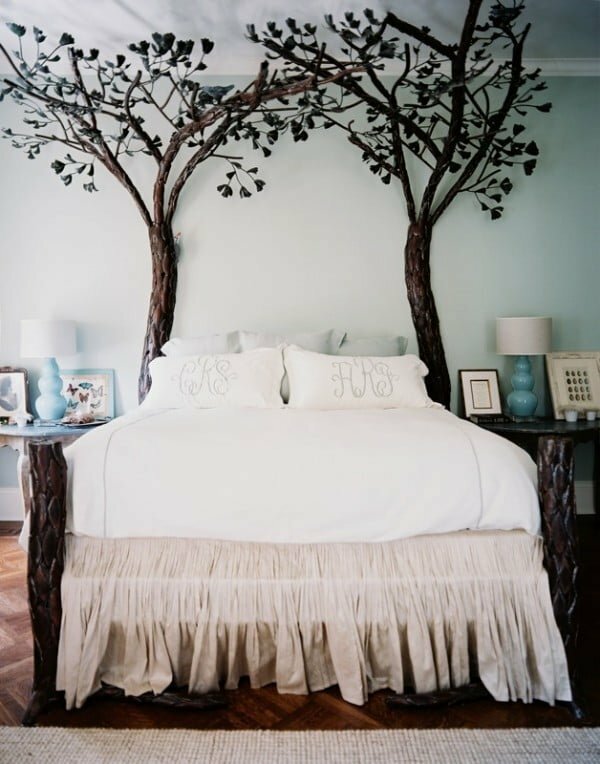 A bed frame doesn’t have to be made of real tree trunks and branches to look amazing. There are a lot of decorative designs like this and they are just as attractive. 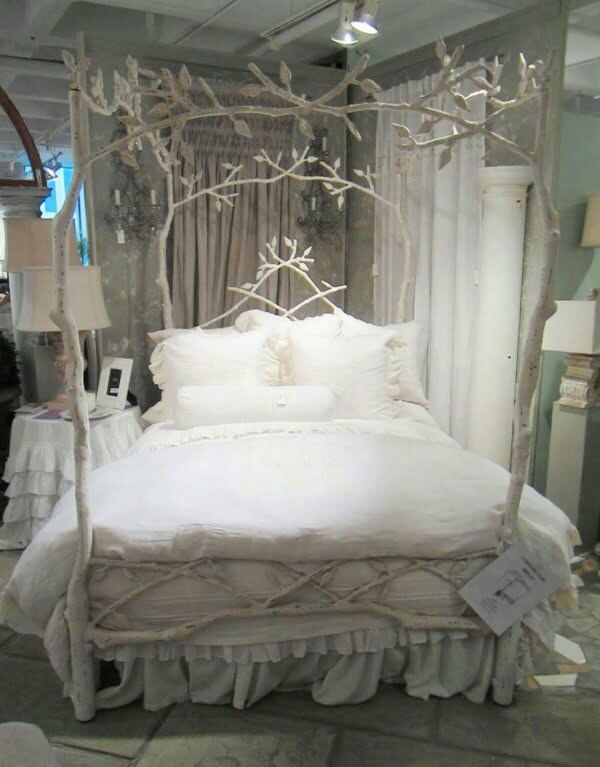 This is a lovely bed with tree branch bed posts embellished with flowers. The design makes the room come alive. 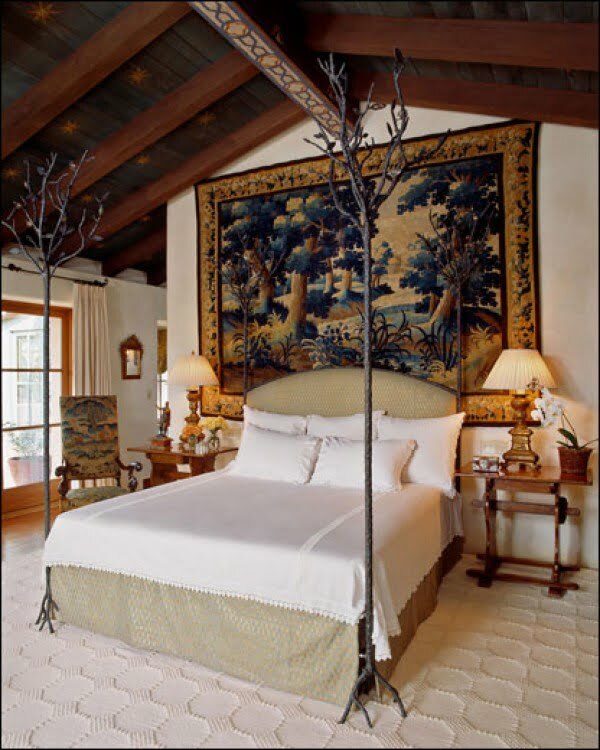 The bed posts made of tree trunks with a stained finish make a great canopy. It’s a piece of furniture of a very intricate design. 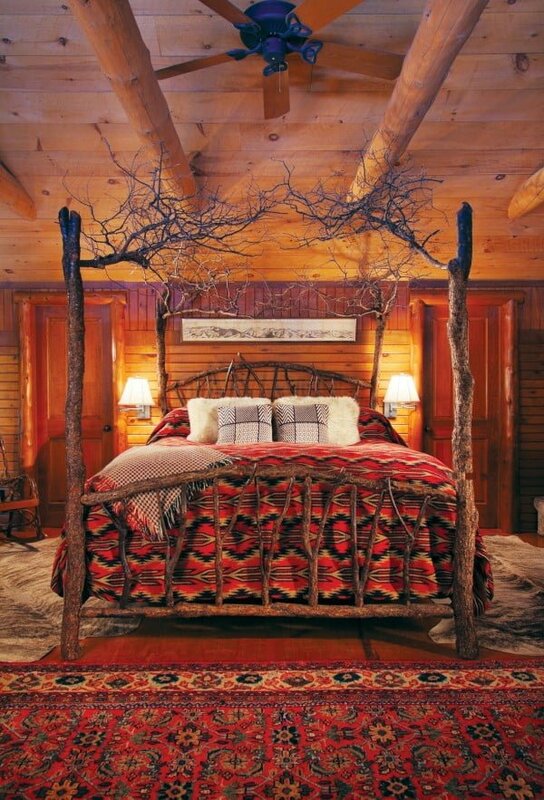 This eclectic bedroom decor is totally DIY with the bed posts simply made of bundles of tree branches. It’s a simple yet very powerful decor idea. 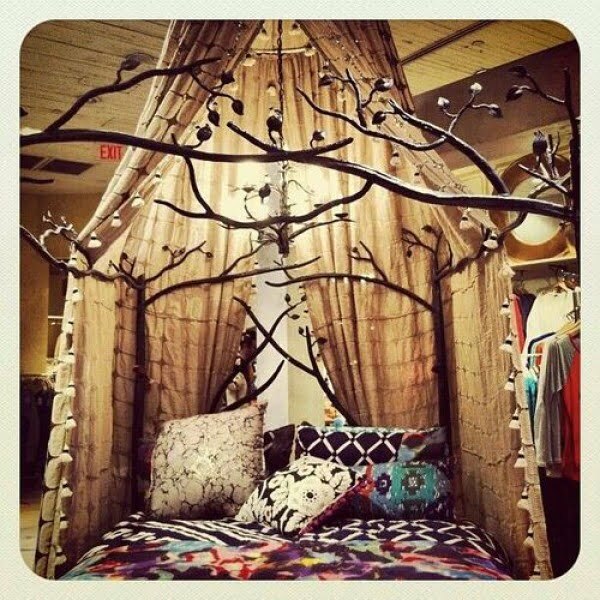 Another decorative canopy with a lot of boho bedroom style. The tree branches may not be real but the spirit is truly alive. 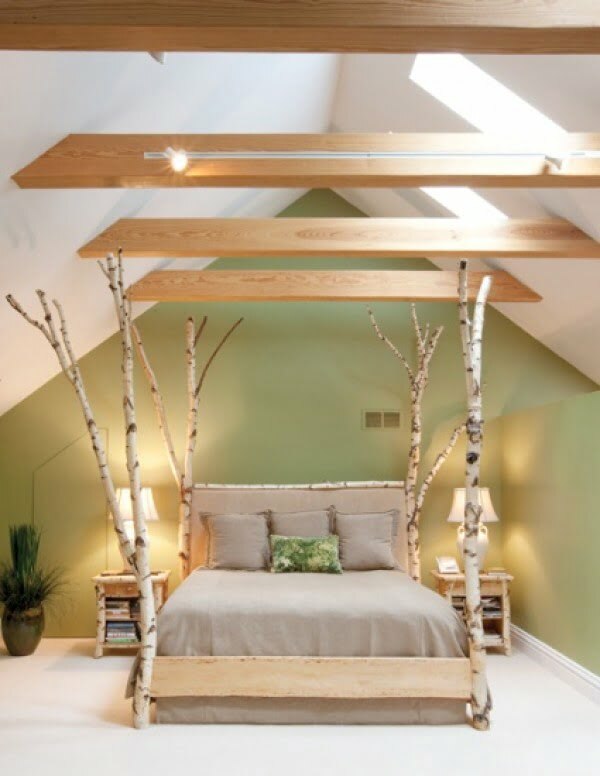 Another bed frame fully made of real birch tree trunks. There’s a lot of rustic appeal in this design. We also love how the decorative lamp matches the theme. 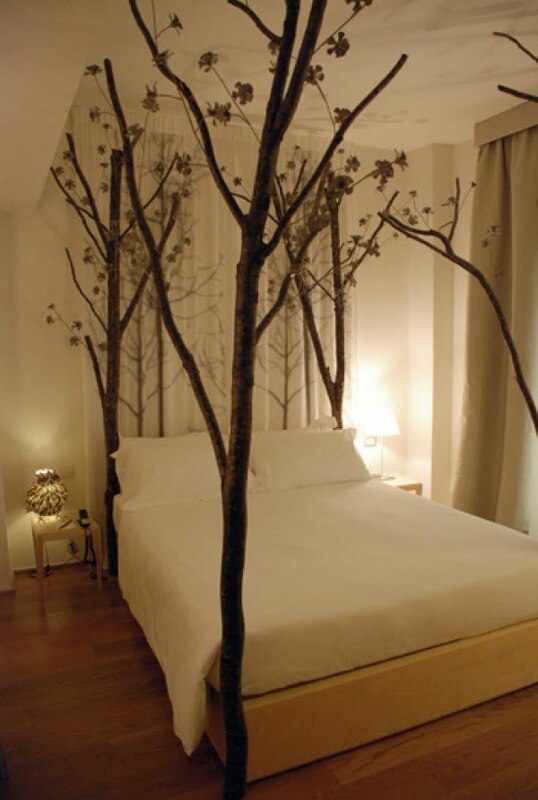 This bed frame made completely of tree branches is truly majestic. A lot of thought has been put into selecting the wood for this project. 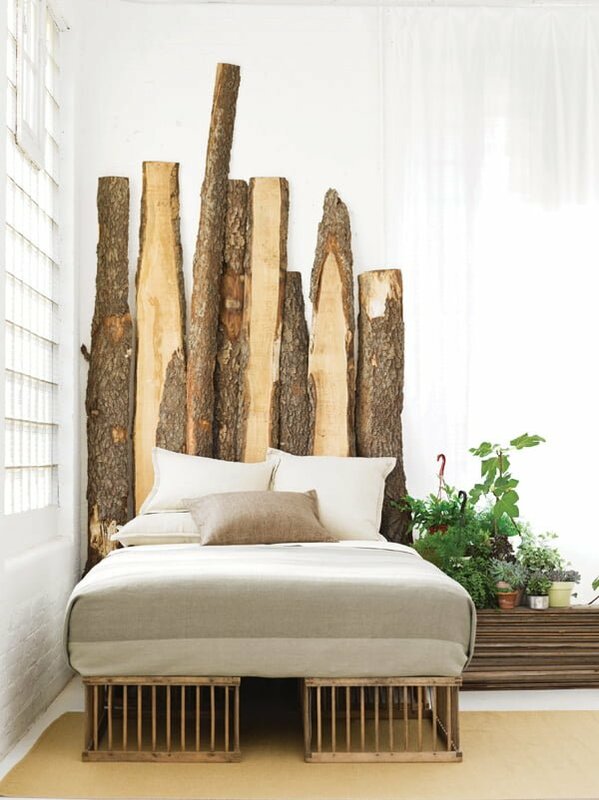 Big birch tree trunk posts are simply added to the bed end in this rustic bedroom decor. It’s certainly a visually appealing decision. It’s not so much bed design as it is the headboard decor. 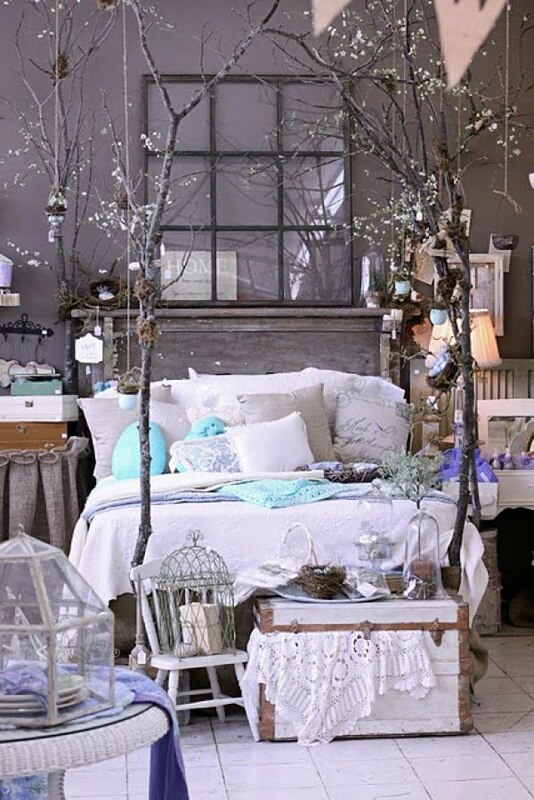 Dried tree branches are used with string lights to create a very warm shabby chic room decor. 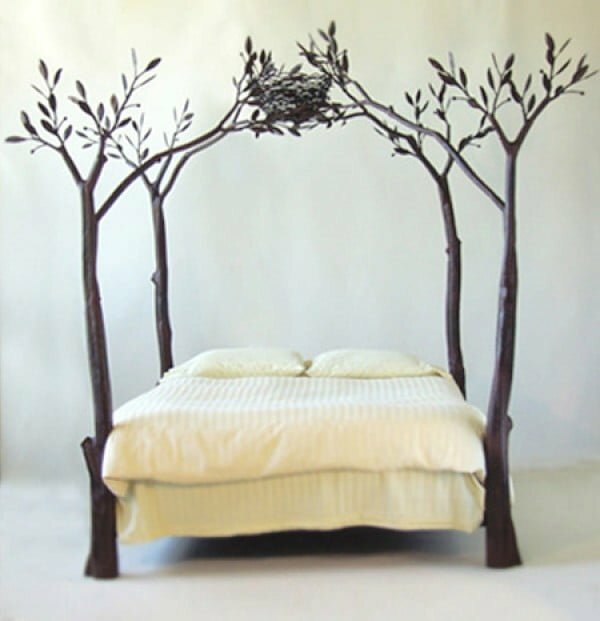 Not only this decorative bed design features trees, it includes a birds nest in the branches as well. Fascinating! Another excellent example DIY decor. 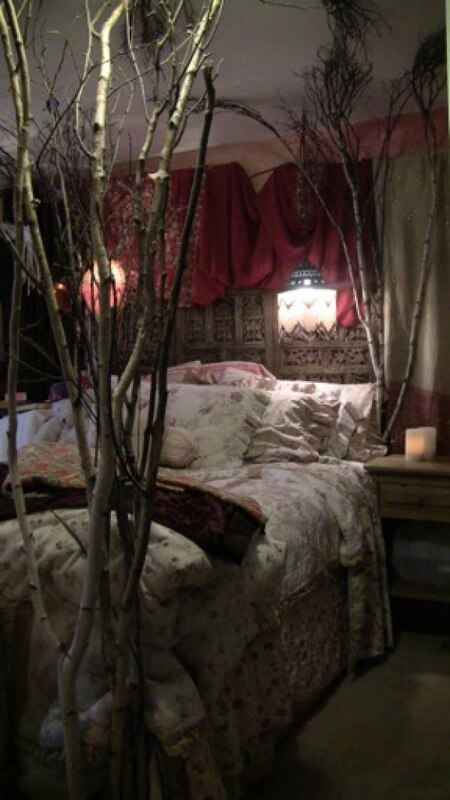 Dried tree branches are simply added to the bed frame and decorated for the rustic theme. This wood-crafted bed frame design is really intricate and awe inspiring. It’s obvious how it dictates the entire decor of the room. 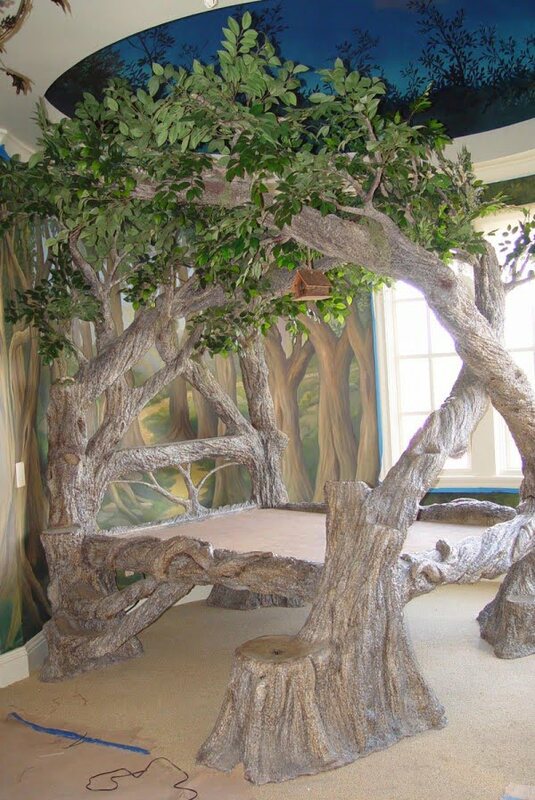 This tree bed design is very shabby chic and we love it. Another canopy bed design with a lot of detail. It may not be made of real vine tree but it’s certainly pleasing to the eye. 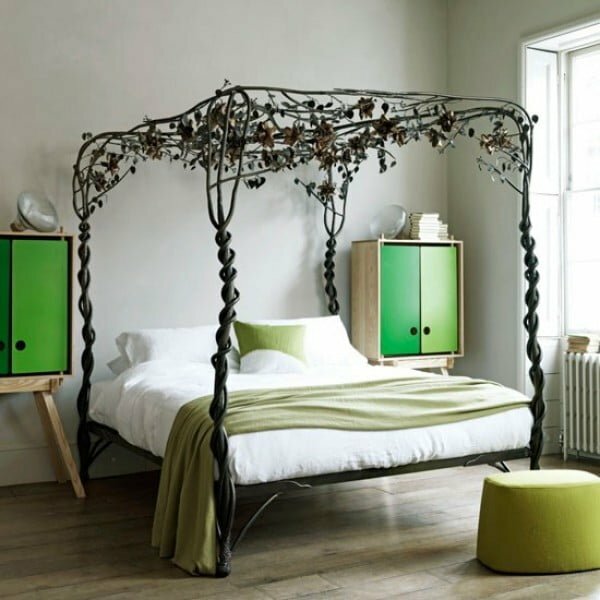 The greenery added to this decorative bed frame completes the look nicely. 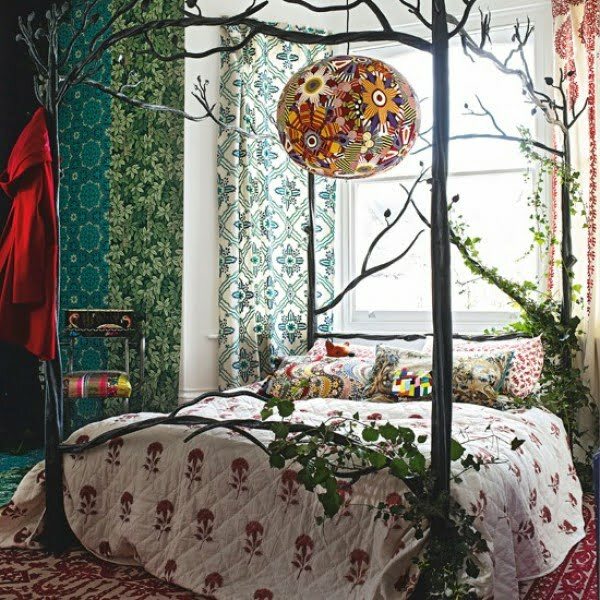 It makes the bedroom really come a live and the eclectic patterns really help. Driftwood has so much warm rustic quality. 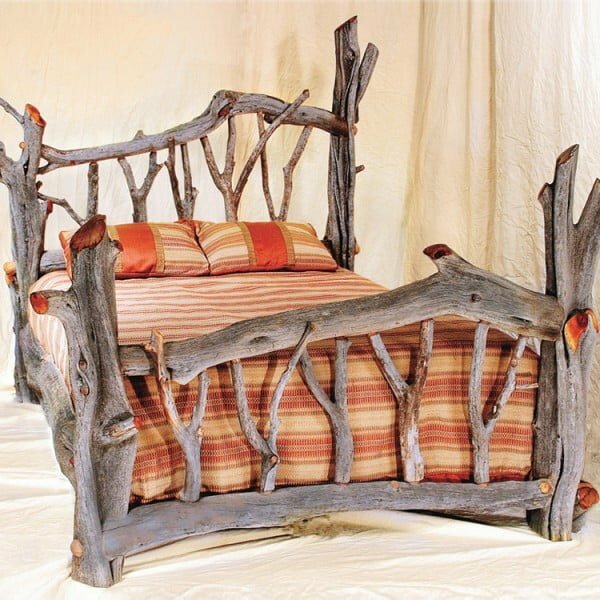 This bed is the perfect fit in any rustic decor. 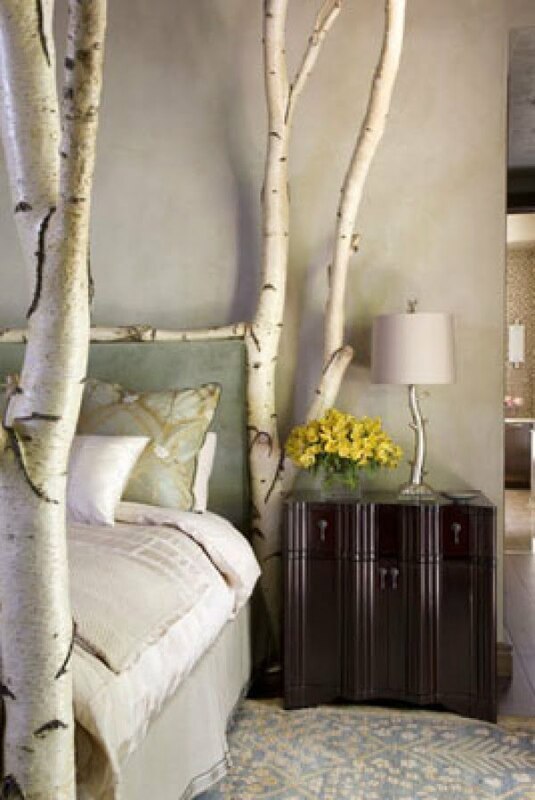 Tree trunks can be used to create an eye catching headboard and a unique accent. It mixes with modern design so well too. 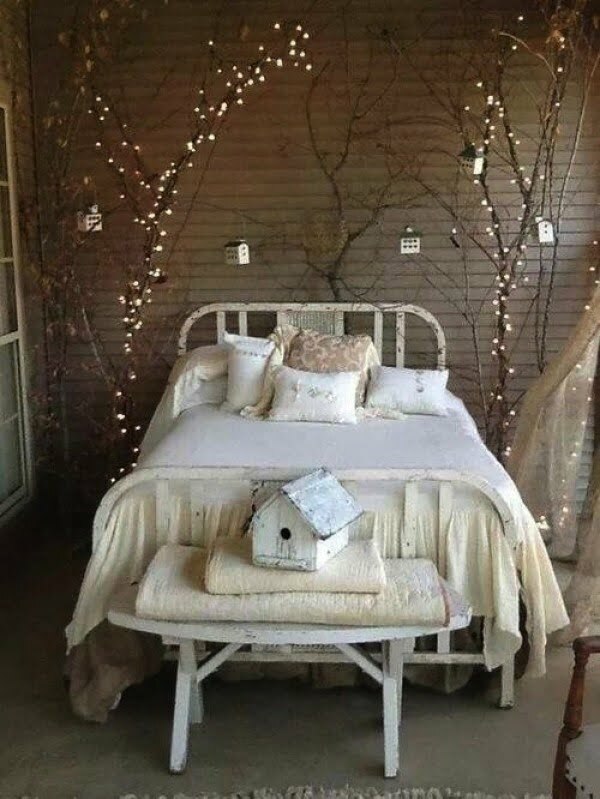 While most of the tree bed design have more of a rustic, farmhouse or even shabby chic feel, this design has so much elegance. In this example we can see how birch tree posts can work in modern minimalist design really well. Note the nightstands are made of birch wood as well. 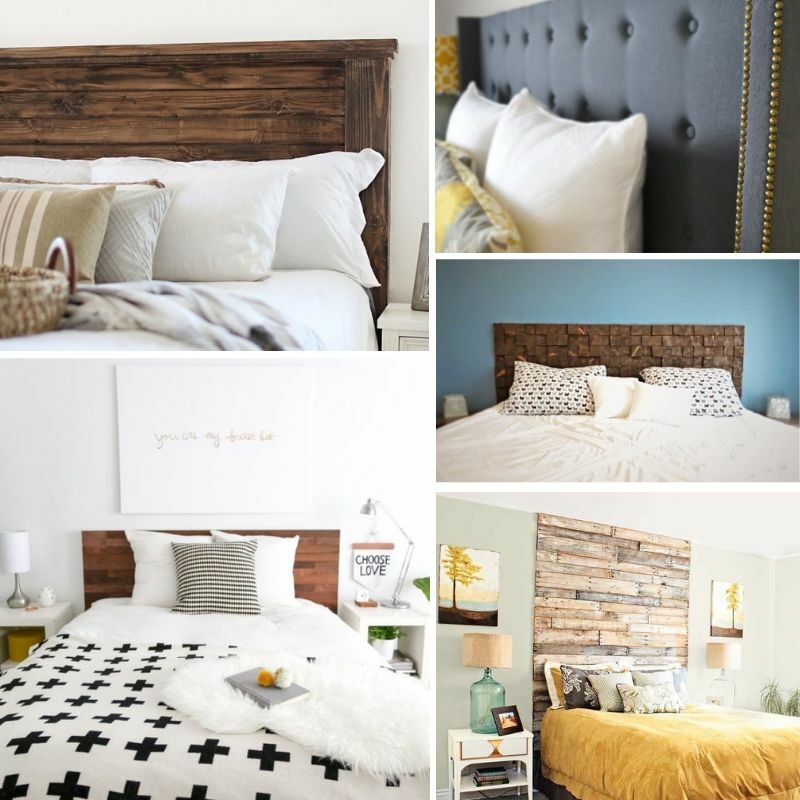 Another accent headboard made of birch wood for amazing rustic decor. We love its simplicity and how much decor value it creates. 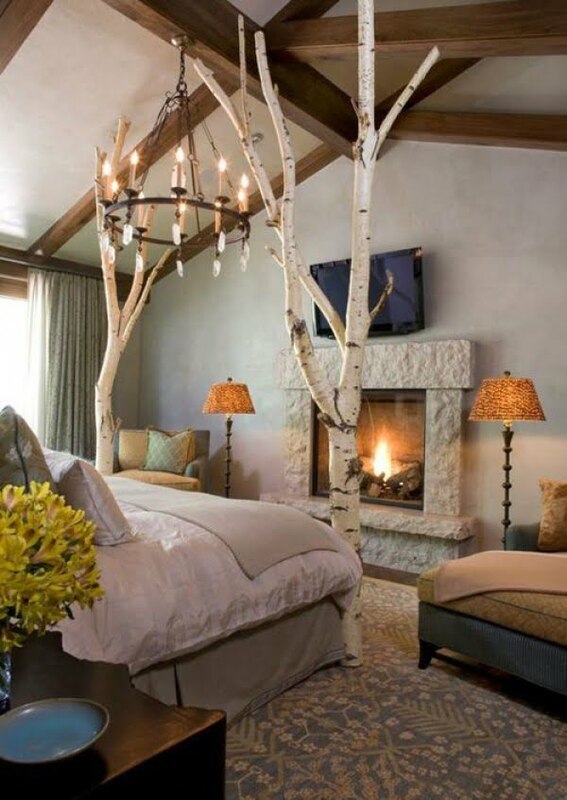 Finely cut tree trunks can work as headboard in rustic decor as well. This design makes use of the natural pattern of tree bark as well as wood so well.